The issue of iPhone/iPad not charging properly has caused a lot of depression to their users because you can't expect someone who purchase a phone of #100,000 and above then notice that in few months, it brings up the issue of charging... Let's be frank, even if a small phone of yours is having charging problem, it make the owner feel depressed because it's not easy to start removing battery and charging it with desktop... Well, it's still possible to remove a phone with a removable battery charging it with desktop but what of iPhone or iPad having an in-built battery, it's not easy to bear it. Actually, nobody knows the actual reason for this issue. There are different issues which may occur to your device allowing it not to charge properly. First of all, once your phone is not charging, the first thing that comes to your mind is the cable maybe its not damaged or you should check out the charging port of the device that it is full of dirt or not. I know you might be thinking that " can dirt cause phone not to charge properly" Yes, it can.. most of the time the charging port is not responding properly because it was filled with dust and it won’t allow the cable to pass the current to the relevant device. This is the first thing that must come to your mind, you must first check the cable especially the side of the charging cable which you use to insert into the iPhone for charging. If you find something wrong out there then you may clean it well with the cloth. If the problen still persist, you should check the length of the cable that it may also not damage from any side. If everything is clear then you should use the cable without its adapter by using the laptop USB port. If no response you get from it too then use any friend’s iPhone to charge with the cable and you can also take your friend’s charging cable to check that is the charging cable has the fault or something is bad with the iPhone.. Less I forget, the switchboard is also important to check, try to use other switchboard in which you want to charge your phone. If you see the same situation then try the second step below. To do this, you need the help of flashlight, With this, you will be able to examine the inside of the charging port of your iPhone. If you see any kind of dust or dirt in the charging port then use a brush to clean it. Most of the time it happens when you don’t bother to clean the iPhone charging port with the brush it get stuck on the charging panels and after some days it started behaving like this. So be conscious of you iPhone charging port again dust. Most of the people don’t know that by reset process, it will refresh your iOS and it will allow the cable to charge the device. 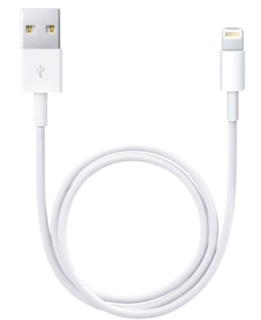 In iPhone, hardware doesn’t allow the cable to charge. Its iOS allow the cable to charge the iPhone properly. Here you may get the complete procedure for Hard Rest the device. If you are using iPhone 7 above, you have to press the power button along with the home button together. 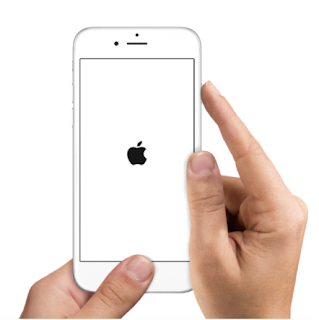 In iPhone 6s and older devices press and hold the power button along with the volume down button till then you see Apple logo on your device screen. Once you are done with ths step, try to charge your phone with the respective cable and the adapter. If the issue is still then you should have to contact the nearest Apple store to find out the exact problem of your iOS device. They will better provide you the solution to this problem. The one thing which you should have to avoid that doesn’t take your iOS device to any local mechanic because they will not provide you the best solution which you actually want. It would be better to contact nearest Apple store to get the satisfactory results and am very sure the problems will be fixed.